Did you know….that 95% of infants are born with a misalignment in their spine? When a baby is being born, whether naturally or via C-section, 80-90 pounds of pressure is applied to their necks while the physician guides them out of the womb. That amount of pulling and traction can cause significant subluxations (misalignments) in the spine which can lead to a multitude of problems such as colic, digestive issues, difficulty latching on during breastfeeding, and difficulty sleeping. A visit to a qualified chiropractor could help relieve these symptoms and improve not only the quality of the baby’s life, but the parents’ as well! 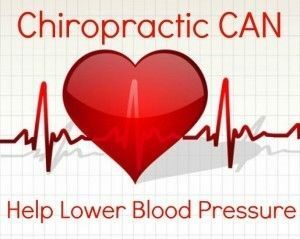 Did you know…that chiropractic care can help lower blood pressure naturally? Approximately 1 in 3 American adults today has hypertension (high blood pressure); and another 1 in 3 has pre-hypertension (on the verge of high blood pressure). Having high blood pressure puts you at risk for serious health conditions such as stroke, heart attack, and other heart conditions. A medical doctor’s go-to choice for patients with hypertension is medication, but medication typically only manages symptoms and does not solve the underlying problem. They just try to decrease the symptoms, which ultimately binds you to that medication for the rest of your life. Chiropractic care, on the other hand, promotes adopting a healthier lifestyle including better diet, more exercise, and reducing stress. Furthermore, recent studies have shown that chiropractic manipulation to the cervical spine (neck) and thoracic spine (mid back) may relieve pressure on the nervous system in the areas that help control blood pressure. 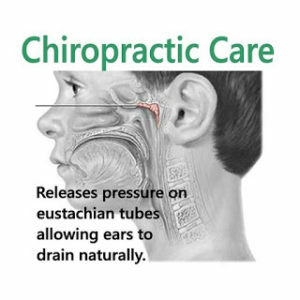 Did you know…that chiropractic care may help relieve ear infections and promote proper draining of the Eustachian tubes in the ears? The first instinct of a parent when their child has an ear infection is to take them to a medical doctor to get antibiotics; however, antibiotics are becoming less and less effective for treating ear infections. The efficacy of chiropractic care, however, has again been proven. A study published in 1996 in the Journal of Manipulative and Physiological Therapeutics showed that of the 45 children with ear infections treated with chiropractic care, 93% of the cases resolved. 75% of those, resolved within 10 days or less. 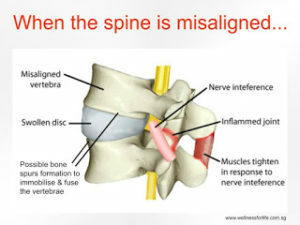 (http://www.ncbi.nlm.nih.gov/pubmed/8728460#) When a misalignment is present in the upper cervical spine, nerve function is interrupted to many areas in the head, including the Eustachian tubes in the ears. Decreased nerve function may cause dysfunction in the Eustachian tubes which leads to increased pressure and improper draining of fluid. When that fluid builds up, it becomes a breeding ground for bacteria, thus increasing the risk of otitis media (ear infection). Clearing a misalignment in the cervical spine by chiropractic manipulation helps to relieve pressure in the Eustachian tubes which facilitates proper drainage. Did you know…that only a small percentage of nerves in your body are designed to produce pain? Only 18% of the nerves in your body produce pain. That leaves 82% that serve other functions. You may have nerve dysfunction and not even be aware of it because you don’t feel pain. All of the nerves in your body stem from your spinal cord which is encased in your spine. Having a misalignment in your spine puts pressure on those nerves causing them to not function properly. That dysfunction can lead to a decrease or loss of muscle function, impaired signaling to and from the brain, changes in sensation to a particular part of the body, impairment to digestive and/or reproductive organs, as well as a multitude of other issues…all before you feel pain. Getting regular chiropractic care maintains the proper alignment of your spine which limits the interference on your nervous system. Did you know…that chiropractic doesn’t cost? It saves!!! In November 2010, a study was published in the Journal of Manipulative and Physiological Therapeutics that compared the cost of medical doctors treating low back pain to chiropractors treating low back pain. The 85,000 Blue Cross/Blue Shield patients participating in the two-year study had their own choice of which type of physician to see for treatment. Over that time, the paid costs for treatment initiated with a chiropractor was 40% less expensive than seeking treatment with a medical doctor. 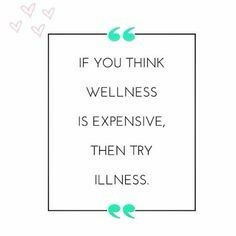 In essence, the study showed that it saves money to see a physician who will treat the underlying cause of the problem rather than a physician who will only treat the symptoms.